While halogen bulbs are still available to buy, many types are no longer in production, so the time has never been better to switch over to LED bulbs. Here’s just nine of the main benefits you’ll see once you’ve gone over to the light side! This is the number one advantage of LEDs – they are designed to operate for an average of 35,000 hours and sometimes up to 100,000 hours. You can expect your bulbs to last you up to 15 years with normal usage – six to eight hours a day. They don’t burn out over time like halogens or incandescents, or lose any brightness. LEDs are our most energy-efficient way of lighting – they have an 80-90% efficiency, which means 80-90% of their energy is turned into light rather than heat. Incandescent bulbs lose 80% of their energy as heat and so are only 20% efficient. You can fit your entire house out with LED lights – you’ll find it a worthwhile investment after just a year, especially if you buy your lights from cartridgepeople.com, as they always have great offers going. LEDs don’t contain any toxic compounds or elements like mercury. They are also 100% recyclable; using LED lights will help you to reduce your carbon footprint by a third. The fact that they last for such a long time – on average 35 times more than a halogen – means that they also save on material and production costs. LEDs are made with very sturdy materials and components that can stand up to harsh weather, shocks, vibrations and abrasion. This is why they’re increasingly adopted for roadside and civil engineering applications. 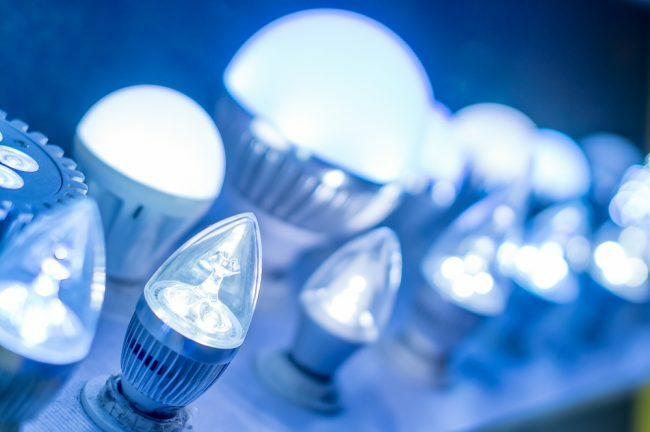 This, and the fact they produce very little infra-red light, makes LEDs perfect for use in storage facilities and cupboards as they won’t degrade stored materials by either UV or heat. Museums are using them more and more to illuminate displays without damaging the artefacts. LED light arrays can be placed and combined in an infinite number of ways to produce efficient – but also controllable – illumination. The colour, shade, brightness and distribution of light can be controlled to perfection, which makes for not only technically-useful lighting, but also soothing, uplifting or energising mood lighting. LEDs are perfect for using in very cold environments, like freezer rooms or in extreme climates. Other lights, like incandescent or fluorescent, can be affected by cold, but LEDs are reliable even when the mercury drops. LED lights are bright immediately and they can also be turned off and on as many times as necessary without affecting their performance, even over the long term. Halogen lights or low-energy bulbs usually take a few minutes to achieve maximum output, and turning them off and on reduces their lifespan. As LEDs can work with low-voltage, they’re ideal for outdoor use – camping, garden rooms, alongside a solar energy source and in remote areas. Are you convinced yet? You should be!